Skincare has always been a top priority for me even before I was pregnant, so you can imagine my interest in belly creams once my stomach started to grow. I have asked numerous skincare professionals about this topic and one thing that I have found interesting and consistent is that they all talk about how eating lots of healthy fats and oils is just as important as keeping the skin moisturized for stretch mark prevention. Makes sense, right?!? When our bodies are being fed foods that help with elasticity it's no wonder the skin is able to grow and expand without any marks. So loves, I hope you enjoy the list of my favorite belly creams + oils below. Fun tip, I like to rotate these products weekly just like I rotate eating my greens. I feel like my skin likes the rotation of products and it seems to keep my skin looking healthy and moisturized. This belly il is made up of a blend of nutrient rich botanical oils that helps support skin as your belly expands. It helps to calm inflamation, releive itching and reduces the appearanceo of theose darn stretch marks. Can we also talk about how grogous the bottle is?! This looks beautiufl in your bathroom or vanity. This stretch mark oil contains essential oils including rose, sandalwood and safflower. This will keep you skin feeling soft and hydrated. "Carrot seed oil boosts elasticity allowing skin to stretch smoothly, while rosemary, rosehip and vitamin E aid as anti-inflammatory skin rejuvenators. Delightfully aromatic." I alos love this belly butter by Zoe Organics. This soothes itching skin and also supports elasticity during pregnancy and postpartum. This is a luxurious skin treatment that you will love massaging onto your growing belly! Argan oil is used to moisturize and soften skin. It contains vitamin E and fatty acid content wich makes if perfect for giving your skin a natural boost. It easily obsorbs inot the skin adn is non-greasy. 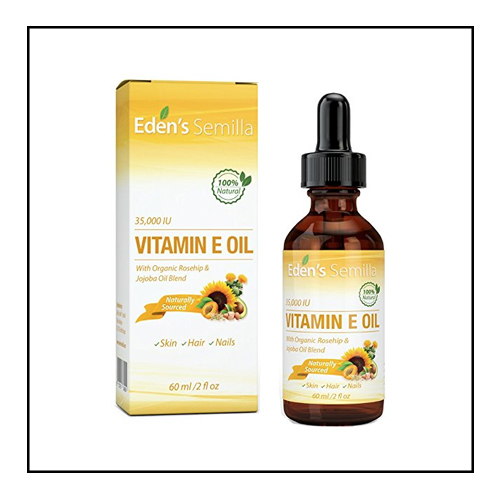 Vitamin E Oil is also a great option to prevent stretch marks. "According to P. Kim Phillips, doctor of dermatology at the Mayo Clinic, early application of vitamin E is the best way to avoid stretch marks from scarring."